My past caught up with me. But in a good way. 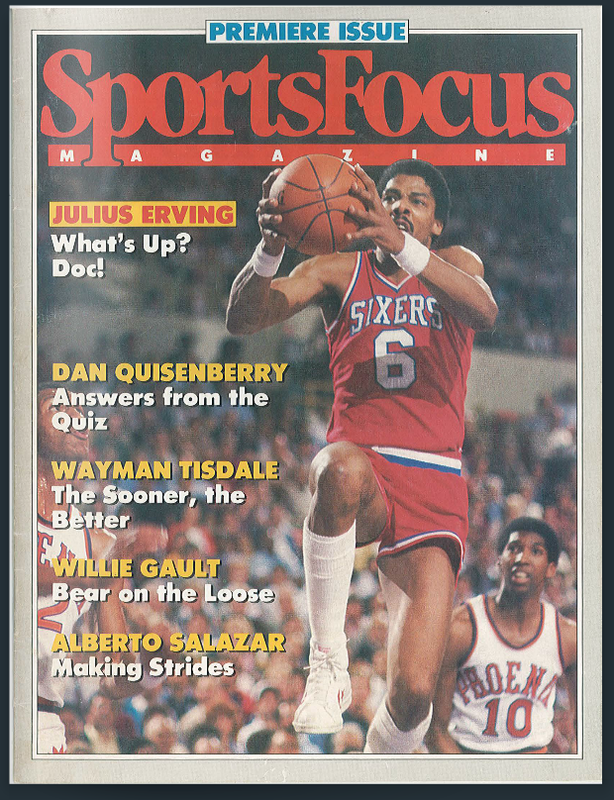 A former student provided a link to back issues of SportsFocus and Second Look (now Sports Spectrum), two versions of the same magazine that I edited in two stints between 1984 and 1989. The former student, Sarah Layne, now works for Sports Spectrum as director of partnerships, helping to keep this magazine going. So of course, I’m indebted to her — both for alerting me to these links and for helping to continue the magazine we started 31 years ago. For those of you interested in finding out more about Sports Spectrum and subscribing or supporting their good work, click on the magazine name for more info. You can also see all of their available back issues, for all three titles, here. It’s fun to look at the links and see the athletes profiled — not only because these are some of the top athletes of the 1980s, but also as an implied “where are they now?” In some cases we know and in some cases we don’t know. Check out the publications where I gained the experience that I apply in my classes as an associate professor of journalism at Auburn. Not all are listed here, but a few that I worked on and wrote for. The athletes are listed according to where they were at the time of the article. After a couple of other brief jobs, including a year in Colorado, I returned to Southern California. SportsFocus had re-emerged as Second Look, through a partnership with Radio Bible Class, publishers of the popular devotional Our Daily Bread. I did the Castille article. It was fun — not only as an Auburn grad interviewing a Bama athlete, but also because we did part of the interview in Westwood, near the UCLA campus. That was always my favorite place to take Southerners who wanted to experience the SoCal life. The Glenn and Storm article was one of my favorites. Being from Jacksonville, and friends with Storm Davis’s family, their intertwined stories particularly struck home with me. If I wrote it today, I might have worked my own references into the story more directly. But that’s not how we did it in the 1980s. Maybe that’s why I was able to do a few more interviews with Dravecky over the years. This was my last issue of Second Look before I decided to make the transition to the academic life, first as director of public information at Azusa Pacific University. As I transitioned from college administration to the classroom — first at APU, then Campbell University, then Auburn University — I also moved away from Second Look. It eventually would change its name to Sports Spectrum, to emphasize the sports connection. I wrote a couple of free-lance articles for them: one on Dale Jarrett and another interviewing several NASCAR personalities in conjunction with some PSAs they were filming in Charlotte, N.C. But as I focused more on the college classroom, and on articles that were much longer and had a flood of footnotes, I left Sports Spectrum to the capable hands of Discovery House Publishers, and now as a nonprofit independent publication based in Charlotte. I’m glad that their work continues, and that they have made mine available.